If we don’t transform teacher unions now, our schools, our profession, and our democracy—what’s left of it—will likely be destroyed. I know. I am from Wisconsin, the home of Scott Walker and Paul Ryan. In 2011, in the wake of the largest workers uprising in recent U.S. history, I was elected president of the Milwaukee Teachers’ Education Association (MTEA). Unfortunately, that spring uprising, although massive and inspirational, was not strong enough to stop Gov. Walker from enacting the most draconian anti-public sector labor law in the nation. That law, known as Act 10, received support from the Koch brothers and a cabal of national right-wing funders and organizations. It was imposed on all public sector workers except the police and firefighter unions that endorsed Walker and whose members are predominantly white and male. Act 10 took away virtually all collective bargaining rights, including the right to arbitration. It left intact only the right to bargain base-wage increases up to the cost of living. The new law prohibited “agency shops,” in which all employees of a bargaining unit pay union dues. It also prohibited payroll deduction of dues. It imposed an unprecedented annual recertification requirement on public sector unions, requiring a 51 percent (not 50 percent plus one) vote of all eligible employees, counting anyone who does not vote as a “no.” Using those criteria, Walker would never have been elected. Immediately following Act 10, Walker and the Republican-dominated state legislature made the largest cuts to public education of any state in the nation and gerrymandered state legislative districts to privilege conservative, white-populated areas of the state. Having decimated labor law and defunded public education, Walker proceeded to expand statewide the private school voucher program that has wreaked havoc on Milwaukee, and enacted one of the nation’s most generous income tax deductions for private school tuition. Under these conditions, public sector union membership has plummeted, staff has been reduced, and resources to lobby, organize, and influence elections have shrunk. People familiar with Wisconsin’s progressive history—in 1959, for example, we were the first state to legalize collective bargaining for public sector workers—find these events startling. And they should. If it happened in Wisconsin, it could happen anywhere. And it has. In New Orleans, following Katrina, unionized teachers were fired and the entire system charterized. Following Wisconsin’s lead, Tennessee abolished the right for teachers to bargain collectively. In Philadelphia, the School Reform Commission unilaterally canceled its expired contract with the teacher union. In city after city, privately run charter schools are dominating the education landscape. Fortunately, teacher union activists across the country are revitalizing their unions and standing up to these relentless attacks. And this growing transformation of the teachers’ union movement may well be the most important force in our nation to defend and improve public schools and, in so doing, defend and improve our communities and what’s left of our democratic institutions. The revitalization builds on the strengths of traditional “bread and butter” unionism. But it recognizes that our future depends on redefining unionism from a narrow trade union model, focused almost exclusively on protecting union members, to a broader vision that sees the future of unionized workers tied directly to the interests of the entire working class and the communities, particularly communities of color, in which we live and work. This is a sea change for teacher unions (and other unions, too). But it’s not an easy one to make. It requires confronting racist attitudes and past practices that have marginalized people of color both inside and outside unions. It also means overcoming old habits and stagnant organizational structures that weigh down efforts to expand internal democracy and member engagement. 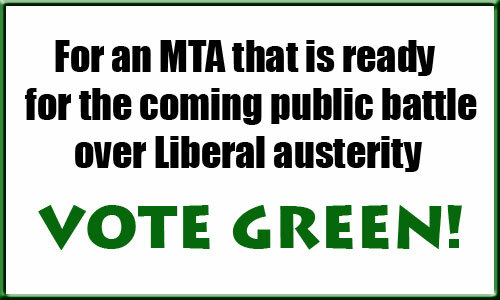 Thus far in this series I have outlined two of the reasons I am once again running for the position of MTA president. In the first post I outlined my belief that the MTA needs to change its institutional culture to be more open to participation by the membership and less partisan. The second post explains why I believe the MTA needs to be more respectful of its own rules; particularly those rules associated with financial transparency. The third post looks at some of the ways we could improve our health insurance and asks members to consider whether the $300,000 QPAT removes from the plan annually is not a back-door fee increase. Another important reason I’m once again running for MTA president is that I believe our union leadership needs to do much more to speak out in defense of public education and the integrity of the teaching profession. An effective media strategy can be a powerful means of creating pressure on the employer that can translate into real gains for our members and for public education. Yet our current leadership seems utterly uninterested in engaging issues in the public sphere. This was exemplified with the arrival of the Charter of Values as the central issue of public debate in Quebec. Given that this proposed legislation had such direct and severe consequences for teachers, I expected our unions to speak out. Here was an opportunity for the newly elected Mr. Sutherland to show that he could stand up for teachers and defend us in the public sphere. Sadly, unions representing teachers in English school boards were the last in Quebec to weigh in on the issue. Thus far in this series I have outlined two of the reasons I am once again running for the position of MTA president. In the first post I outlined my belief that the MTA needs to change its institutional culture to be more open to participation by the membership and less partisan. The second post explains why I believe the MTA needs to be more respectful of its own rules; particularly those rules associated with financial transparency. Another reason I am running is to push for badly needed changes to our health and dental insurance. The mere mention of our insurance elicits enormous frustration from the teachers at my school. There is a widespread perception that this plan does not provide good value. The vast majority of teachers with the ability to register on their partner’s insurance plan all seem to do so. Unfortunately neither the leadership of the MTA nor QPAT seem at all interested in working to make improvements to our insurance. While I believe that a thorough investigation into the problems with these plans needs to be done, there are two things that could be done immediately to improve these plans. The first is to actually consult the members on the cost and composition of the plan. Our union leadership loves to tell us that these are our plans and that we have complete control over them. Yet since these plans have been established the members have never been formally consulted on their cost and composition. Perhaps members would be willing to remove the coverage of certain items in order to reduce fees? Or perhaps the members would be willing to pay more for additional coverage? 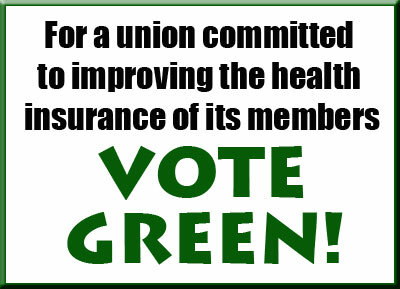 Or perhaps the members would like to replace the coverage of certain items for improved coverage on others? The point is there is no way of knowing any of this as long as we have a union leadership that is unwilling to put in the work to consult the members. How are we ever to improve the members’ satisfaction with these plans if we never ask them what they think? What good is membership control if the members are never given an opportunity to exercise that control? Quebec’s teachers are the lowest paid in Canada –oh, and the highest taxed too. You sometimes state that QPAT goes back to 1864—that was PAPT, but just go back to the PAPT in the 1980’s and compare it with today’s QPAT. At that time, PAPT had a membership of about 8,000, as does QPAT today, but there were some staffing differences: there was a president, and 4 executive assistants. Today, QPAT has a president, an executive director and 5 executive assistants; a 50% increase in the hired help. The only person, who remains from that time, is the present executive director, Alan Lombard, who has been in charge of the staff. Has he been so incompetent that he needs more staff for an organization that is the same size as in past? Maybe he operates like a school board –as student numbers decline, hire more board staff. Over the same period, the demand on teachers has increased, but salaries have lagged. Not that Lombard would have ever noticed; he was too busy looking after Lombard. Although he was a teacher on syndical leave, he carefully avoided paying any union dues during his decades of working for the union—[how is that for irony]. He changed his pension from the teacher plan to that of an administrator; how did that happen? His ‘loyalty’ to the union cause was best exemplified with an ultimatum that he would leave almost immediately for an unnamed job, unless he was allowed to retire, collect his pension and keep his job. He could have retired and taken the mystery job. Why not? Could it be that he had conjured this unnamed job offer as a ploy to double dip? Maybe I am just a skeptic, but his story had a whiff of bovine excrement. Why can’t he clear the air about the job offer, is it a state secret? However, some of executive members’ olfactory senses worked differently to mine; concerned about the prospect of his impoverishment they added a RRSP [why is that now removed from a line item on the budget?] His income is more than triple that of an average teacher. Mike Duffy would be jealous. Should conventions held by teachers unions include workshops aimed at politicizing and empowering its membership or should they merely offer tips and techniques to use in the classroom? How one answers this question reveals a great deal about how one sees the nature of teachers unions themselves. The unity achieved by the CTU educating and empowering its grassroots members transformed the CTU from an organization incapable of fending off the various attacks against the working conditions of its members into a fighting organization capable of not only defending their members but actually making gains on their behalf. While paying lip service to the historic victory of Chicago teachers in a recent issue of QPAT’s newsletter Liaison, QPAT itself could not be further from the organizing model that was responsible for this victory: their democratic structures could not be more opaque or inaccessible to the grassroots members; their approach to negotiation seems more intent on telling members what to think and how to vote than on empowering members and encouraging real debate; they see no problem paying their president and certain members of their permanent staff salaries and perks that far exceed those received by the highest paid teachers.